Want Perfect Skin? Pass On The Salt (And More)! If you find yourself experiencing persistent puffy or splotchy skin, your diet could be the trigger. Shape.com ranks salt as the #1 worst food for your skin. 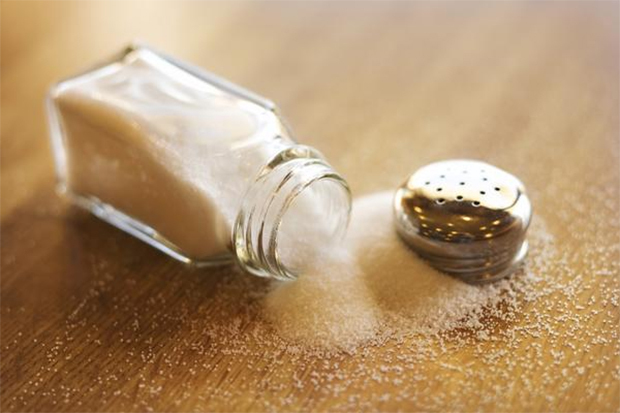 Since salt retains water, too much sodium intake causes swelling and puffy eyes. At best, it’ll prevent you from looking refreshed and well rested in the morning. At worst, you could be putting yourself at greater risk for cardiovascular disease, since salt is now known to accumulate in skin tissue over time. Suffer from acne or rosacea? You might want to also limit your intake of shellfish and milk. The iodine in shellfish can lead to increased breakouts and the hormones in milk can over stimulate oil production, leading to more clogged pores. Photo courtesy of Healthy Living.